MOSCOW, December 30. /TASS/. Russian President Vladimir Putin has wished a merry Christmas and a happy New Year to Queen Elizabeth II and UK Prime Minister Theresa May, the Kremlin press service informed on Sunday. “The Russian leader… has sent his best wishes to the Queen of The United Kingdom of Great Britain and Northern Ireland Elizabeth II and the Prime Minister of the United Kingdom of Great Britain and Northern Ireland Theresa May. In his messages, Putin has wished good heath, happiness and success to them and their families. He also wished welfare and prosperity to the British people,” the press service stated. 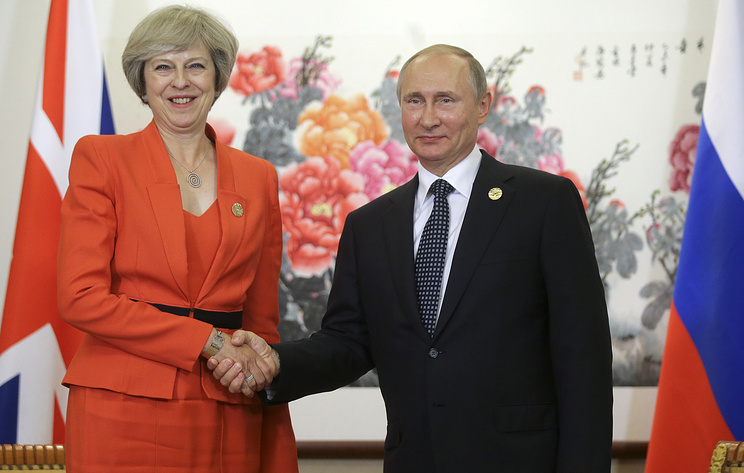 Hey Buddy!, I found this information for you: "Putin sends Christmas wishes to Queen Elizabeth and Theresa May". Here is the website link: https://russophile.org/putin-sends-christmas-wishes-to-queen-elizabeth-and-theresa-may/. Thank you.